With four moveable side rail panels. 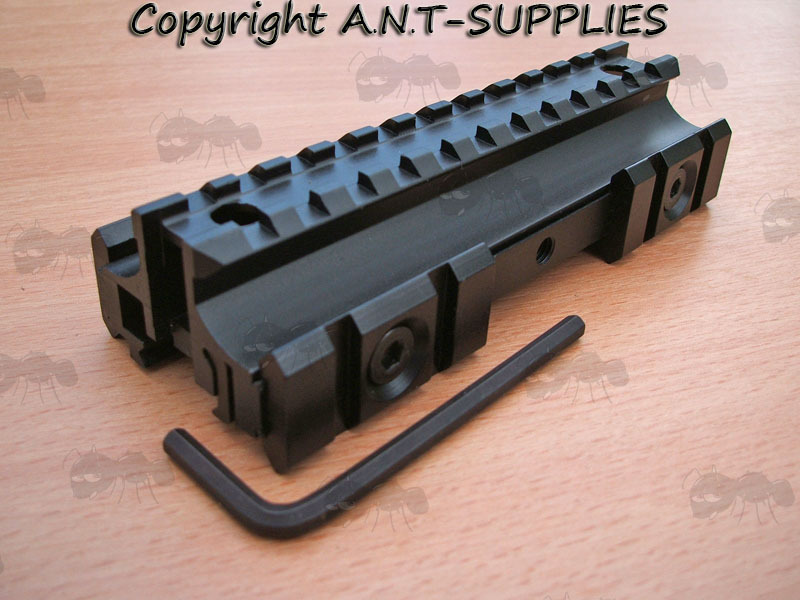 20mm picatinny rail for weaver or picatinny mount fittings. 5 1/4 inches / 133mm long overall. The location bars on the base have a spacing of 51mm. High quality aluminium alloy construction with matt black anodised finish. Easy and fast to install for a very sturdy hold. 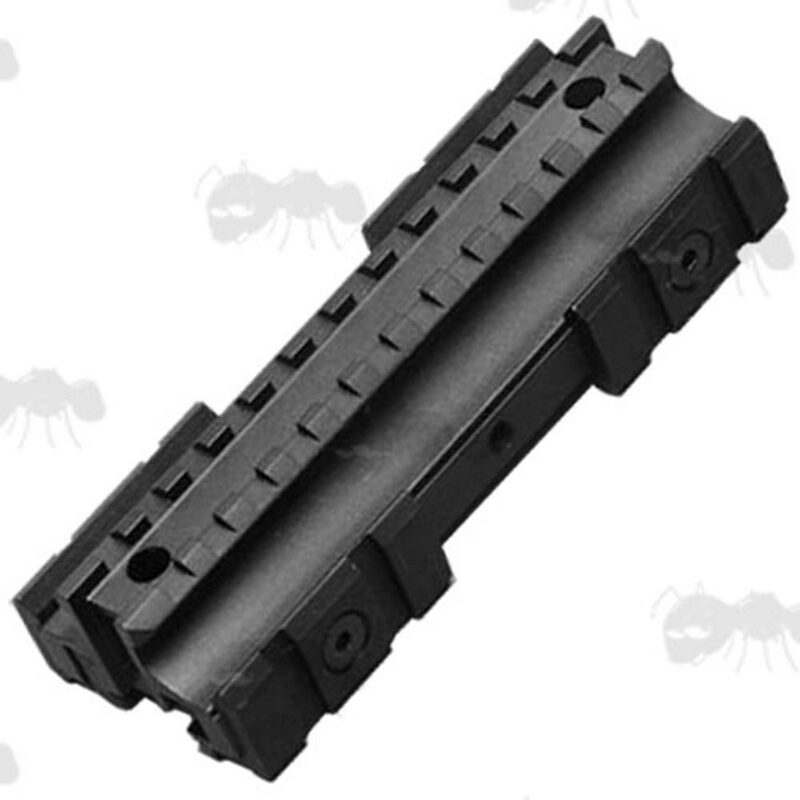 Each has a rectangular see through channel base to still allow the use of your iron sights.